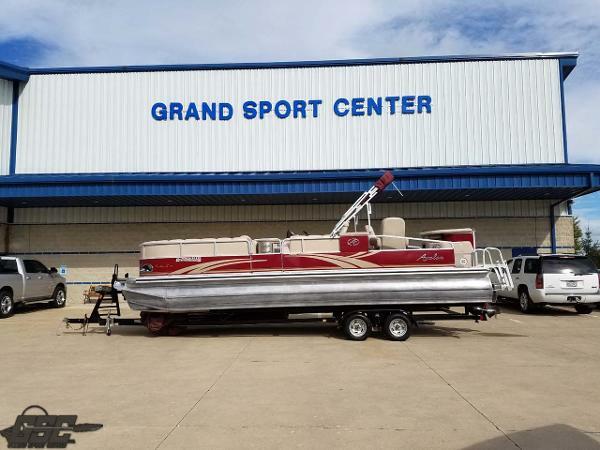 2010 Avalon SANDBAR CL26, PARTY BARGE! 2010 AVALON TAHOE SANDBAR CL 26 POWERED BY A 2010 EVINRUDE 250 ETEC 4 STROKE. 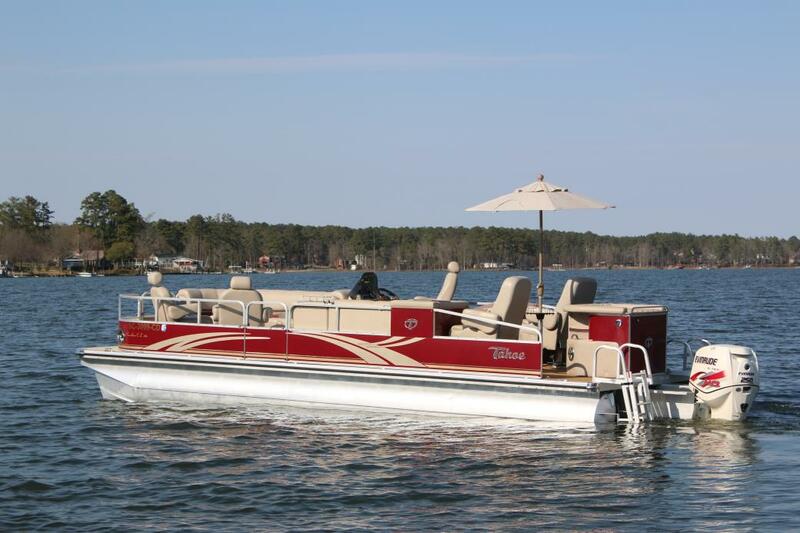 26 FT TRI-TOON, ONLY 158 HOURS AND A GREAT LAYOUT FOR ENTERTAINING FRIENDS! LOADED WITH OPTIONS THIS ONE COMES WITH JENSEN STEREO WITH 6 SPEAKERS, GARMIN 431s GPS, FULL COVER, LARGE UMBRELLA, PRIVACY CURTAIN WITH POTTY, REFRIGERATOR , SINK, COUNTER TOPS, AND 2 ENTERTAINING TABLES. RATED FOR 12 PERSONS WITH 2 FORWARD CAPTAINS CHAIRS, FORWARD BENCH, 2 REAR CAPTAINS SEATS AND MID BENCH SEATING. ALSO COMES WITH 2 TRANSOM ALUM LADDERS BATTERY SWITCH, DOCKING LIGHTS AND RAISED SS CLEATS. TANDEM GALV GENESIS TRAILER INCLUDED. CHECK IT OUT TODAY! 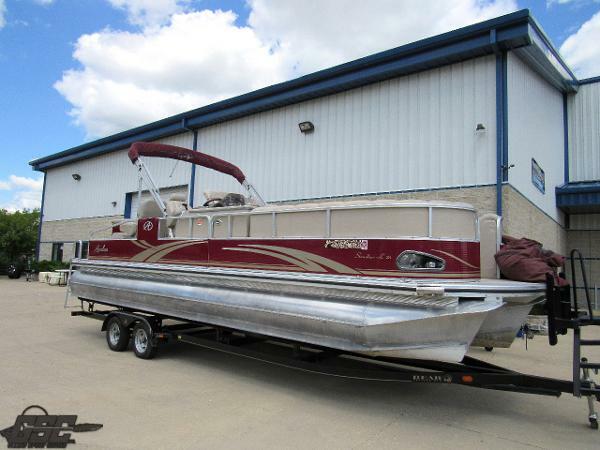 2009 Avalon Pontoon 26 Sandbar Tritoon, 2009 Avalon 26 Sandbar just came in on trade. Powered by a Honda 150 horse power four stroke outboard. 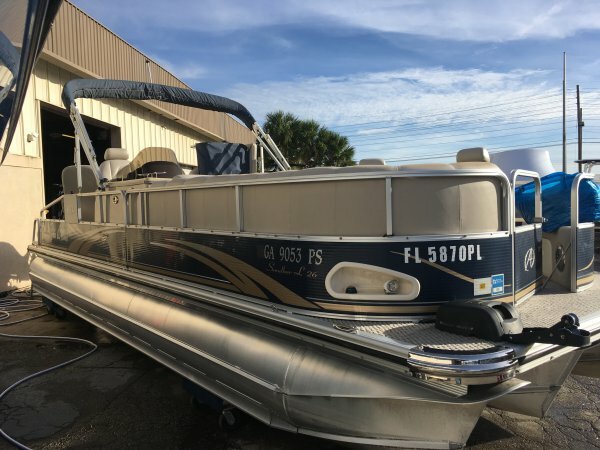 The Sandbar has only been used in fresh water lakes and includes many upgrades: Aft teak platform with carpet in cockpit, privacy curtain, Garmin depth finder, ski tow bar, automatic anchor, entertainment center with sink and mooring cover.